One touch is all it takes to set up a flawless presentation environment to set the right tone for your communication, whether it is a pitch to customers or a critical communication to employees about performance and engagement. 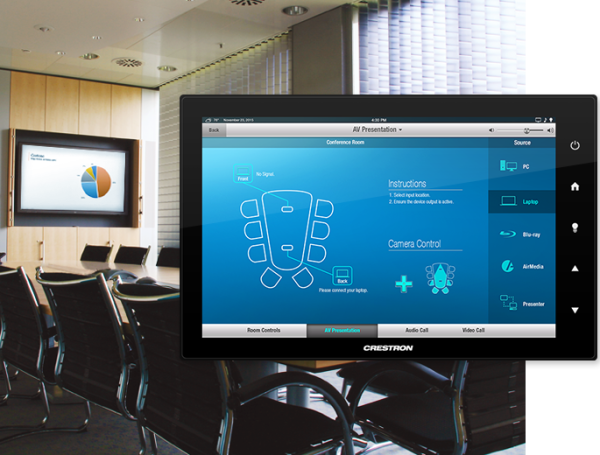 With solutions to instantly adjust lighting, shading, climate controls, media settings and more, your meeting will be ready to captivate the audience of any auditorium. When it comes to presentations, we make it simple.